Each soil and each culture has different characteristics. 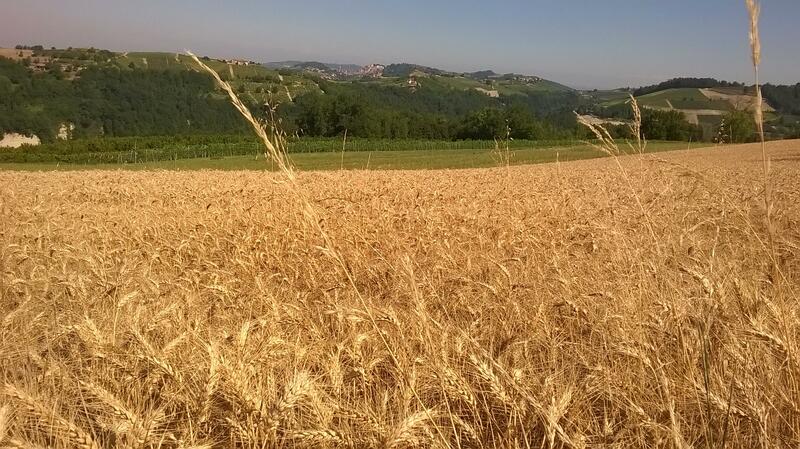 For this reason the choice of crops is linked to the different characteristics of the various terrains. The products of nature are the result of a plot, of one or more plants and of the season that has accompanied their growth. Our job is not to spoil what Nature has given us. You will find in these lines a brief description of the latest vintages and wines produced. 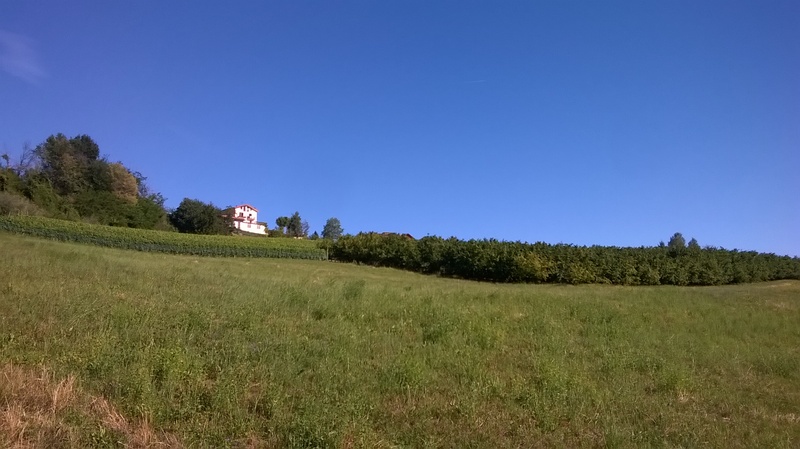 These are considerations on our work, on seasonal trends and what we found in the wines, and we hope they can help you understand the different features that you will find drinking one of our wines. 2017: After a normal winter the month of March was much warmer than the norm favoring a very early budding. Following a month of April just as beautiful in the nights between 19 and 21 April a drastic drop in temperatures occurred that caused strong frosts in many areas of Italy. 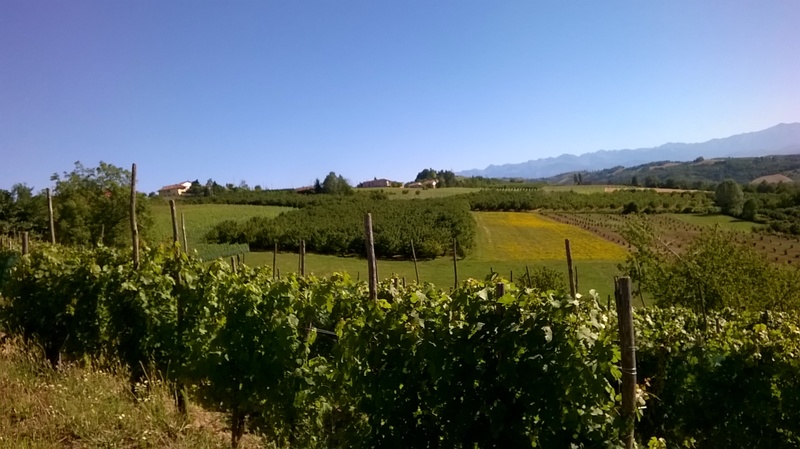 Given our altitude, however, only one vineyard used for the Pianezzo suffered major damage, with the loss of around 80% of the production in that plot. The summer then continued with very beautiful and hot days and almost no rainfall thus determining the earliest vintage we remember. The wines are so rich and concentrated in all the characteristics, in the color, in the alcoholic degree and in the acidity but with very fine and elegant tannins. Beginning of the harvest August 29th. 2016: The winter between 2015 and 2016 can be divided into two parts, a drier and characterized by good weather, until the end of January and a more humid with good snowfall in the months of February and March that have brought a good water supply. Some rains in the days between the last days of April and early May followed by good weather have encouraged a good sprouting and an optimal summer trend have led to the production of very beautiful grapes and a greater amount than that obtained in recent years. The wines are so very rich in all its characteristics but they have maintained a good acidity that will help them to face a long aging. Start of harvest September 13 for Sauvignon and September 16 for Dolcetto. 2015: In February heavy snowfalls have provided a good supply of water. The vintage is continued with a mild climate that fostered the blossomig of vines in advance of one week. Three strong hailstorms in the first half of May (8th, 19th and 20th) have greatly damaged some vineyards, causing in some cases a lower production estimated in a loss of about 60-70% of the normal production. The summer is continued optimally favoring a very good maturation in the grapes remained. The wines are very rich in texture and color. Date of harvest: September 8th. 2014: After a good winter, the spring began very early favoring an early sprout. After a very good two months (May and June), the month of July has been rather rainy. Summer is continued with an August and a beginnig of September fairly fresh and affected by thunderstorms. In the last days of July it was performed an important work of peeling and grape selection without which the maturation could have been compromized. The wines produced are therefore characterized by very rich and intense aromas and good freshness and drinkability. Date of harvest: September 20th. 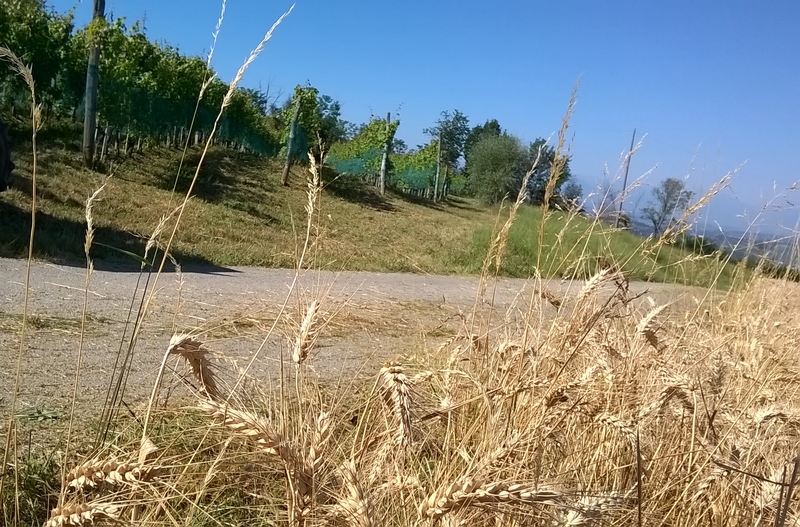 2013: After a winter quite long but normal, in the spring there have been some strong storms (from May until late June) that brought a good supply of water, but which have slightly delayed the progress of the growth of shoots and the maturation of grapes. A very good September has favored a very good maturation. Some rain in early October, when the harvest was almost completed, has lowered temperatures. The wines produced are very complete, with intense aromas, good structure and freshness. Date of harvest: September 22nd. 2012: After one of the coldest winters in decades with very low minimum temperatures (-7, -8 ° C) the spring and summer were optimal with not too high temperatures and dry weather except some thunderstorms between late August and the beginning of September, that have been very useful to plants. The wines produced are therefore very rich in aromas and with many tannins, that surely rank as one of the most long-lived vintages of the last decades Date of harvest: September 17th. 2011: What most of all characterizes this vintage after a standard winter and spring are the summer months. July and August were nice and dry, with not too high temperatures, while the big heat has arrived in the last days of August and lasted until October. This hot has permitted to grapes to mature very fast in the last days before the harvest giving very balanced wines that are also very full of color, texture and alcoholic degree. Date of harvest: September 7th. For questions about older vintages we kindly ask you to send us an email or to consult this website: http://www.ildogliani.it/en/vendemmie_2012.php in which one of the best agronomists in our area has described in a technical and detailed way all vintages .